A second way for us to reduce needless argumentation is to shy away from logical fallacies in our discussions. Ad hominem, straw man, and genetic fallacies are so common yet so unfruitful. 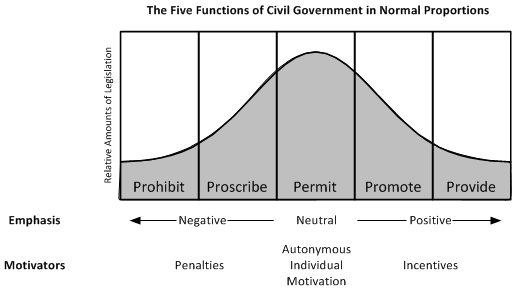 But there is a fourth fallacy that has risen in prominence which I also find illegitimate – the empathy fallacy. What is the empathy fallacy? Interestingly, this idea overlaps with the popular theory of oppression known as “intersectionality.” 2 3 Essentially, since people are multifaceted, oppressed minorities overlap and must be considered as a whole. So for example, we can’t consider women’s issues or racial minorities merely individually – many people are in both groups. Oppression is a quilt of overlapping issues. This is true. But one misapplication of the empathy fallacy with intersectionality is that you have to be in ONE of the groups to be able to propose solutions. And the one group that is universally excluded as oppressed? White males. So the king of all outgroups who cannot affect anyone else with their censure or approval? White males. More specifically? White ‘cis’ males, meaning heterosexuals. Since they don’t intersect with any supposed oppressed minority, they have absolutely no right to speak on any of these issues. This is just a very narrow and specific case of the empathy fallacy. 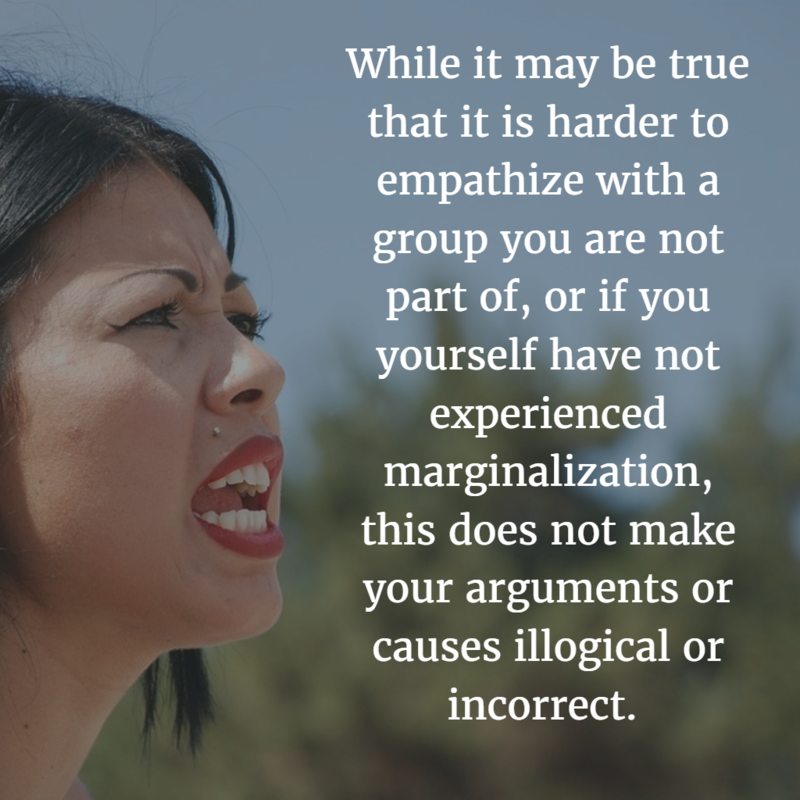 But while it may be true that it is harder to empathize with a group you are not part of, or if you yourself have not experienced marginalization, this does not make your arguments or causes illogical or incorrect. This is a form of the genetic fallacy – you arrived at your position illegitimately, and in this case, without the required perspective of the oppressed. Of course, if you are a white male who supports abortion, you may be given a pass on your empathic deficiency, but even in this arena, some argue that even support is disallowed. I have white friends who, for instance, have felt unwelcome trying to join and support black lives matter chapters. No sane modern person, however, would buy this argument – just because I have never abused the rights of another does not mean that I cannot object to it. And this is the same retort I would give to pro-choicers claiming that I had no right to condemn or limit abortion. This fallacy is based on the truth that it is hard to empathize with others. However, that says nothing of the validity of your argument, pro or con.